Our Guides, Templates, Quick Wins, E-learning modules and personalized learning plan are of high quality to help businesses plan, manage and optimize their contribution from digital to multichannel marketing. We cover 7 step strategy guides to actionable templates in Google Sheets, Excel, Word, and Powerpoint. We deliver briefings on the latest trends and research reports to inform your digital transformation plans. Yet, our core focus isn’t top-level research and theory, but actionable best practices for digital channels that directly impact leads and sales. 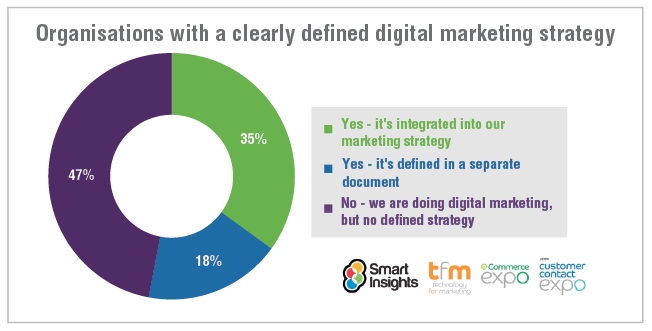 Our most popular resources, which our competitors don’t offer, are actionable templates to audit, forecast and define improvements covering every digital marketing technique. These are field-proven to help our members audit their current performance and identify problems and opportunities to improve results. 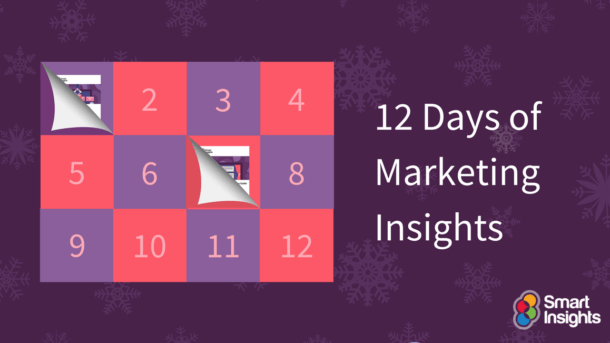 For 12 days we will give you a free preview of a different resource, covering in-depth strategy and actionable best practices you cannot miss! Come back every day as we’ll be continuously updating this post to show you more and more winning marketing advice. 1. Chatbots. We featured several examples of these in 2017 which run on proprietary platforms. Marketers should also consider integrating with standard platforms for customer service or pre-sales support, for example, Facebook’s Bot Engine for Messenger, which went live in April 2016 when Google also announced its assistant service at Google I/O. 2. Software and human-assisted support. Human-assisted live chat has existed for some time. What is new here is the addition of segmentation and automation rules to trigger messages on site, in-app or through email via technologies like Intercom, Helpcrunch and Drift. These offer not-only service, but can also support sales and audience engagement and are a great fit for smartphone use. 4. Voice controlled connected devices. Adoption has been boosted by advertising from Amazon for its Echo devices and Google’s Home devices launched in October 2017. For most businesses, 1 and 2 are going to be of most practical application. It will be interesting to see how Chatbots prove to be, to end users. We’re certainly excited by the potential of Intercom, here is an example from our instance showing rules we have set up to trigger messages in real-time suggesting content to members. These give far higher response rates than email since they don’t suffer from inbox competition and are in the context of a website visit. From Facebook’s Mobile Messenger through Facebook’s acquisition of WhatsApp and rebuff by Snapchat to the popularity of apps in non-Western markets like WeChat, there is a continued and growing wish for consumers to communicate directly outside of public social network pages. This is really the last frontier for social media monetization, so we can expect to see some major changes here in 2018 with new options for paid media on messaging apps, although this will be limited since the app owners have committed in the past to keeping messaging ad-free. So, reaching and influencing consumers as they move from public social media to messaging will remain a challenge to businesses, but as this next trend shows, there will be new options for reaching consumers via messaging. Megatrends across the 5 pillars of marketing today which every business should action. *We will be updating this article every working day for 12 days with FREE previews of our best resources. If you can’t wait for more, by signing up as a FREE basic member, you will get instant access to 25+ resources to start your marketing optimization journey.